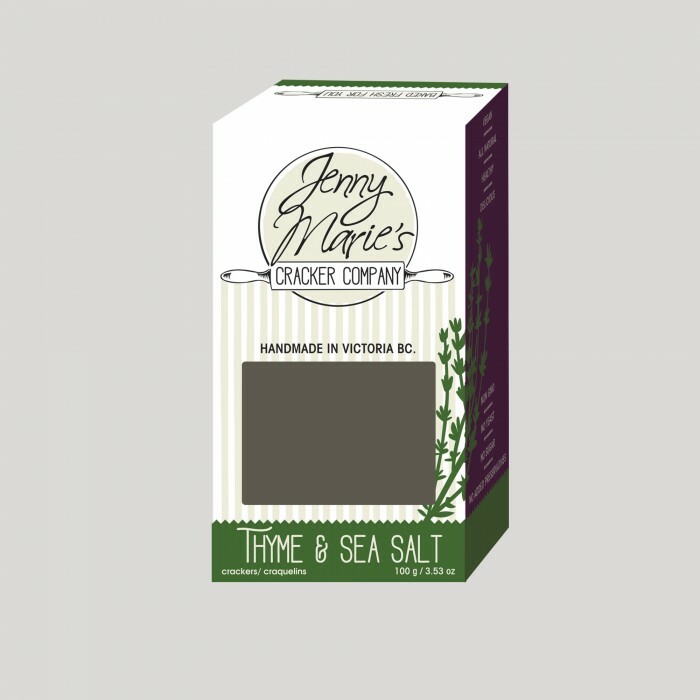 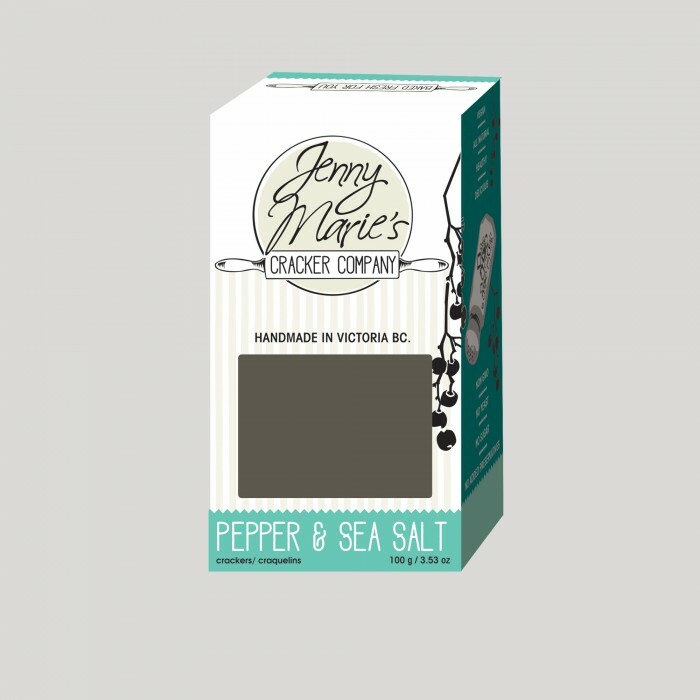 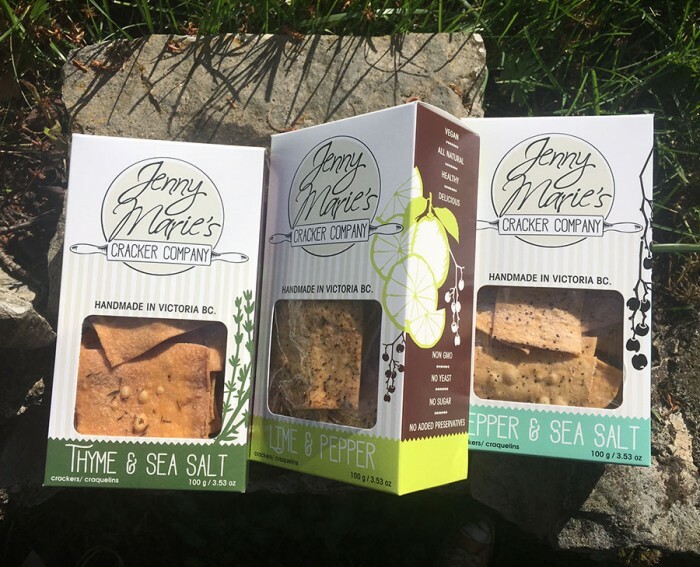 Logo update and box design for Jenny Marie’s Cracker Company. 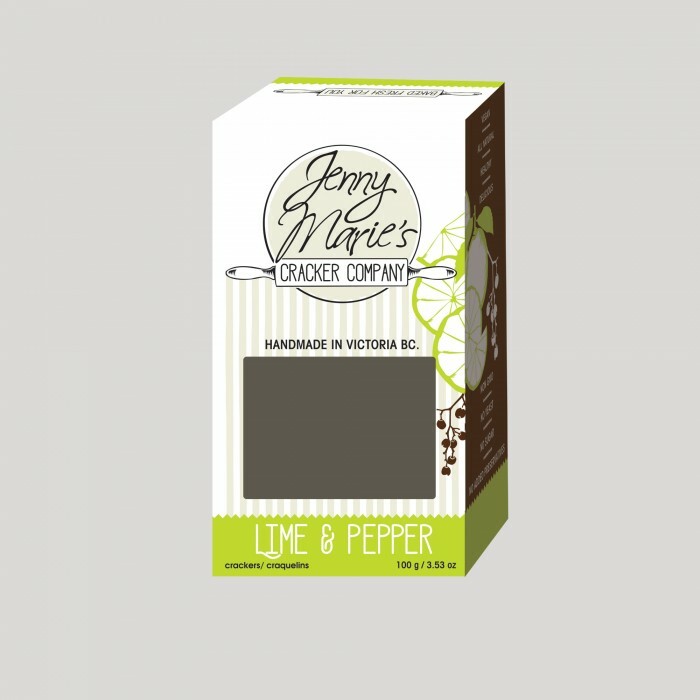 These boxes are fresh, bright and add the perfect amount of shelf presence for an already super cool local company. 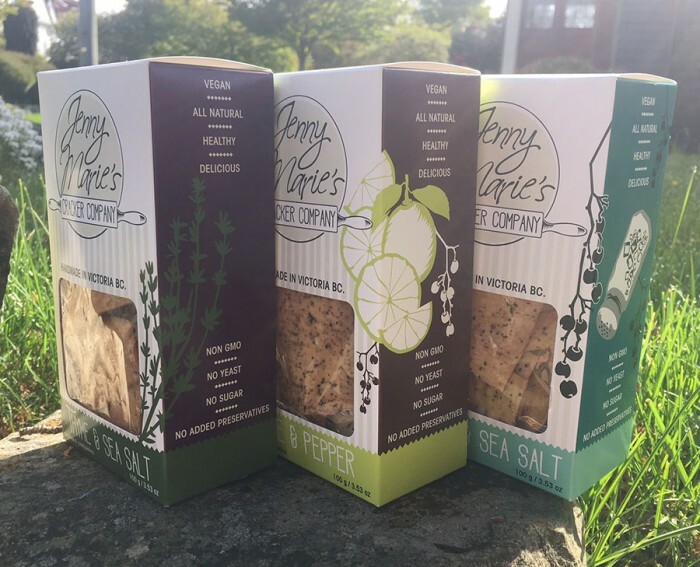 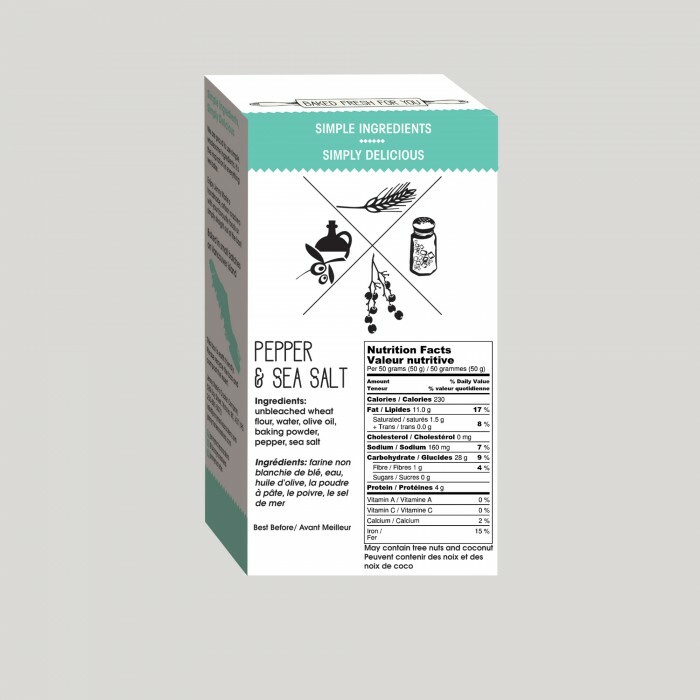 Featuring ingredient illustrations, which are shown as icons on the back, as well as larger and wrapping the front and right side of the box.